Each book in the Behind Our Lives Trilogy is part of a continuing story. Start with Book 1, Behind Our Lives, and read in order. If you don’t, you’ll be seriously confused and probably frustrated! To escape. Cleanly. Beautifully. Without guilt or uncertainty. Without hurting anyone. Joanna was brought up to believe life is meant to follow a certain path. You meet a wonderful man, get married, have children—all in that order. Maybe, if you’re really ambitious, you have a career too. But a career isn’t what Joanna wants. She wants a family. In the early 1970s, at nineteen-years-old, Joanna was the first of her friends to complete steps one and two of the plan. She thought she’d be the first to complete step three as well. Now, thirteen years later, she’s still holding onto her dream of having a child. Of course, life sometimes offers us our dreams in ways we never would have imagined. Can Joanna let go of her expectations, even if it means estranging herself from the family who raised her and, perhaps, the man she loves? What will she do to fulfil the strongest desire of her heart? Each book in the A New Start series follows one woman’s journey through a time in her life when she finds herself needing to make a new start. The stories can be read independently. For example, If book one’s description doesn’t interest you, skip ahead to a story that does, and I promise you won’t be lost. One warning. The stories do overlap in the sense that the characters are all friends and play a role in each other’s lives. They’re written chronologically, so if you read Book 2 then go back to Book 1 you will have read some spoilers. Not your typical ‘fat-girl’ story, Skinny Me is a fast-paced, in depth look at the complicated scenarios and emotional highs and lows we, as humans, find ourselves in. Jennifer deals with the loss of her mother, the pain of coming from a broken family, and, most pressing, the difficulty of existing in a society that so often judges people by their outward appearance. She isn’t always nice. She isn’t always likable. But she’s honest in her portrayal of herself, showing both the beauty and the ugliness we hold inside us. Skinny Me challenges the reader to focus on the aspects of herself that are beautiful and worthy and to question the way she may treat and view women who either do, or do not, fit society’s ideal. Autumn Caparelli just married Matt Evens, the man of her dreams. The man she’s certain will transform her hopes for the future into realities … until she wakes up in a hospital bed, unable to remember how she got there or why her new husband is not by her side. As the haze clears and her memory returns, Autumn realizes none of those dreams will come true—at least not with Matt. At home, Matt’s absence haunts Autumn, making her world seem dim. Desperate to get away from the sadness that engulfs her, she embarks on a journey to create a new life for herself, one where she can let go of the past and all the pain that threatens to destroy her—but letting go is never easy. Only when Autumn accepts the truth of what happened can she let in the light and finally believe that as long as she has life and hope, her dreams will never die. Everything seems perfect, until she wakes up one morning and learns she may not be perfect for him …. or anyone. Struggling with the unknown, and desperate for answers, Tracey must combat the fear lurking inside her and search out the family she’s never known. 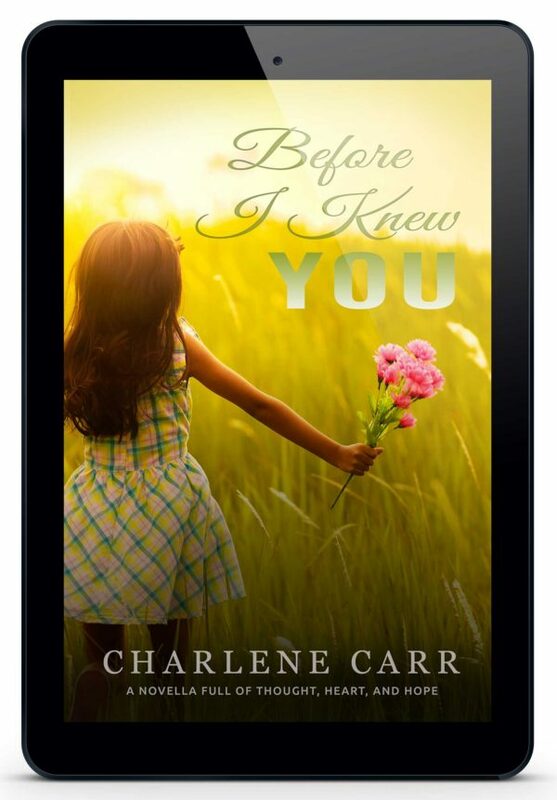 Will she lie to the ones she loves, or reveal the truths she’s always kept hidden? The act every woman is supposed to be capable of, to do so easily they spend most of their lives trying to prevent, Tracey Sampson is failing at, over and over again. Tracey Sampson yearns to fulfill her greatest dream – to hold her own child in her arms. After some devastating news, she is forced to acknowledge that not everyone gets their happily every after … but she’s never been one to succumb to defeat. Sick of being tormented by the fear she’s a broken woman, Tracey decides to take matters into her own hands. With heartbreaking obsession, she does everything she can to assure her happiness. Will Tracey overcome the diagnosis that threatens to tear her hopes apart? Or realize all she truly needs to conquer are her own personal demons?